This week I’ve squeezed whatever workouts I could do in the morning. Yesterday I did the following exercises 3x each with a 5lb weight. First time I’ve done that NTC workout, and I really enjoyed it. Maternity Clothes? Not yet, I don’t think I’ll buy too many ‘maternity’ clothes because they never fit right with J. I am wearing a few shirts that I bought a size up and they feel great! Sleep: I’m sleeping way better than I was in the early stages. I don’t have to pee as often at night so sleep has been great. Weird pregnancy moment: Just seeing my body change. It’s amazing! I’ve gotten a lot thicker down the middle, and a bump is starting to show. Movement? Yes! This week I have really started to feel her kick and flip around, it’s my favorite thing. I’ll lay on my side and just wait to I feel her, it’s the best. Anything making you queasy? Not specifically, but my appetite has increased again this week so if I don’t eat something every 2 hours I get a little nauseous. Food Cravings: Pretty much any food commercial or mention of food and I want it. One thing I try really hard to do while pregnant is eat healthy and eat at home. Fridays we go out, so if I have a craving that lasts all week, then I usually indulge then. Fitness: I’m loving being able to workout. It’s not always a lot, but I try and do something active every day. If I take a rest day from my usual routine, I try and run around with J. I feel so much better at the end of the day if I’ve been active. It’s been hard to try and fit in a workout that I used to do and realize that I have to run a lot slower now. I feel so funny when I run, but I’m glad I can do it. My gym moved to the top floor in our guest room(it was in the basement but now we’re renting it out) and I’m actually liking it a lot. I didn’t think I would since it’s a much smaller room, but it’s nice to have J in the room next door. 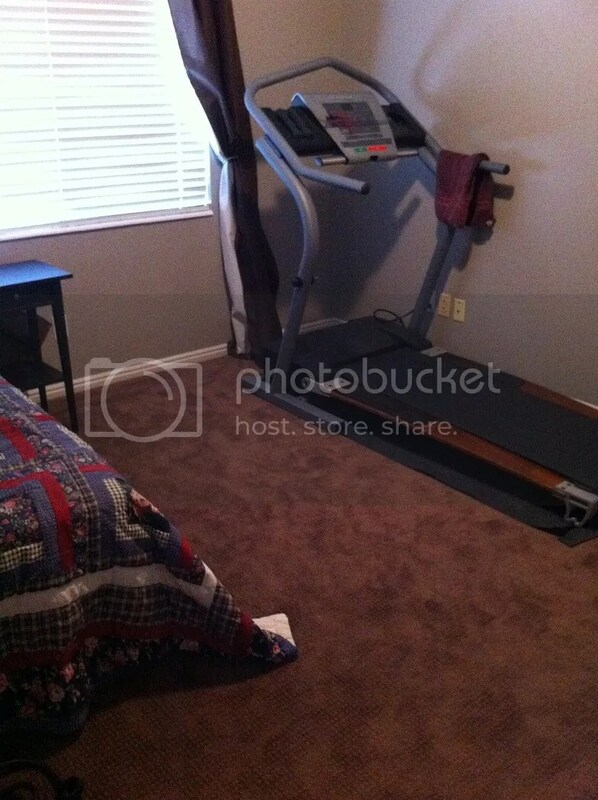 I’m so glad Josh gets my need to workout and hauled that beast up 2 flights of stairs with my dad and BIL, thank you! what’s your go to breakfast lately? 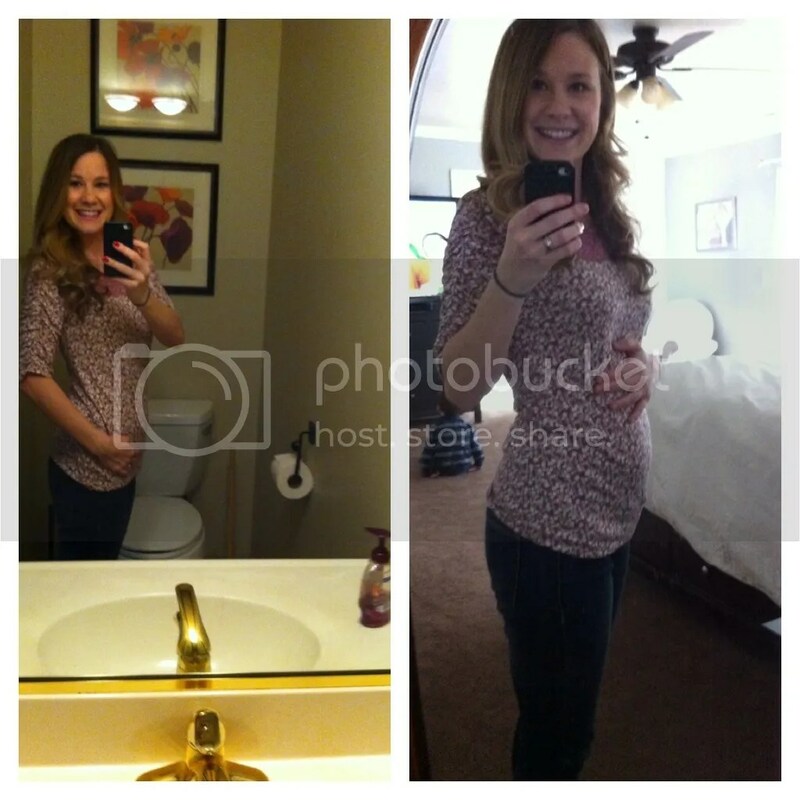 This entry was posted in Uncategorized and tagged 18 weeks, bump update, fit pregnancy. Bookmark the permalink. You are so cute with the bump! !